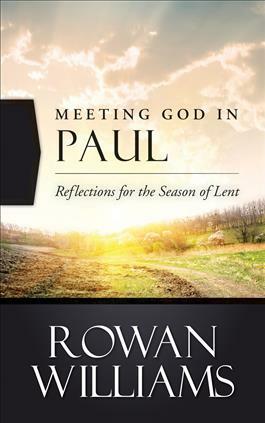 Rowan Williams explores the essential meaning and purpose of Paul's letters in this beautifully written resource for the Lenten season. Williams places a special focus on the social world of Paul-and the "dangerous newness" that was Christianity-and the specific ways that the behavior and language of the Christian community was being molded and shaped in Paul's time. Easy-to- read and packed with illuminating spiritual insights, Meeting God in Paul is perfect for beginners as well as those who've read the letters many times before and want to see them in a fresh light. Questions for reflection or group discussion are provided for each chapter. The book also features a reading guide that includes a reflection and prayer for each of the seven weeks of Lent.